In 2018, the Melbourne Cup, a handicap event run over the rarely raced distance of 3200 metres, will be run on 3.00pm 6 November at Flemington racetrack (and to be run at the same time on Tuesday, 5 November in 2019) and it is without a doubt Australia’s greatest sporting event. The Melbourne Cup is Australia’s most famous for Horse Racing betting, with a maximum of 24 horses in the field and takes place on the second day of the four-day Melbourne Cup Carnival at Flemington racecourse on the first Tuesday of each November. Held ten days after the WS Cox Plate at Moonee Valley and 17 days after the Caulfield Cup at Caulfield, the Melbourne Cup is the feature event of the Melbourne Spring Racing Carnival in Victoria. Odds are, that almost every person in the country have their own predictions, tips and betting advice for the ‘race that stops a nation’. In fact, the Melbourne Cup is no longer just the race that ­famously stops a nation. It’s now a race that stops for many around the world. Since Vintage Crop won the 1993 Melbourne Cup for wily Irish trainer Dermot Weld, the foreign invaders have grown in numbers. Weld won it again with Media Puzzle in 2002 and the Cup trophy has also gone to France, Japan and Germany. Don’t forget the New Zealand stayers. The Kiwis boast a swag of Cup winners. Kiwi’s second last to first win in 1983 was one of the most memorable. Recently, the winners of the Melbourne Cup have come from Europe. What is so good about them? They are trained to stay and they are weighted extremely fairly (some might even say they are underweighted as the local handicappers are not fully aware of their form). When looking for tips and predictions, look for horses that have placed over the distance or further in the last six months when checking the form. Most Australians love the Melbourne Cup. Aussies love to be involved in the fun and games of the big day. 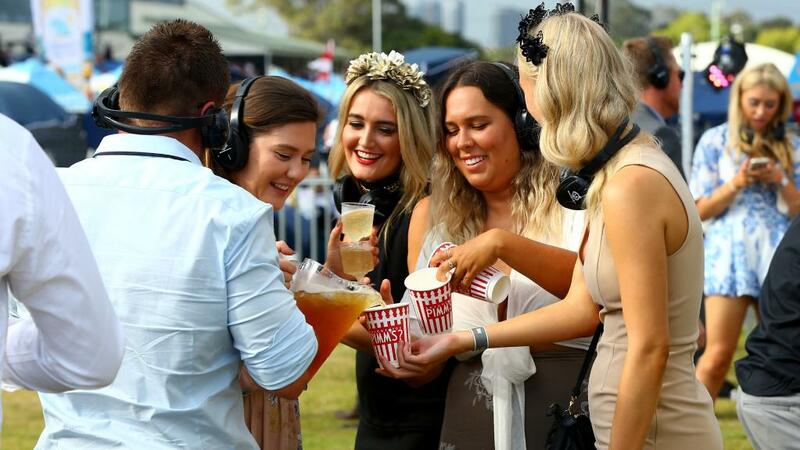 They love to share their tips with you over a drink and possibly more than half of the population attends a social event around the race, participates in Melbourne Cup betting, and/or at least watches the race on TV or listens to the race on the radio. There is hardly a pub, club or restaurant in Australia that does not have a social gathering for the great day. For many of these premises, it is the biggest earning day of the year. Women love the Melbourne Cup as the ladies enjoy dressing glamorously, as every luncheon or function has its own ‘Fashions in the Field’ event. Even if you don’t have the chance to participate in the Melbourne Cup Betting and have to work on the big day, there is always the office sweep. With the office sweep, every working Aussie has the opportunity to take a vested interest and participate in the fun and games of the Melbourne Cup without the need to study the odds or visit the best betting sites. Out of the twenty-four runners in the 2018 Melbourne Cup Field there is prize money for the first ten horses to cross the finish line in a race with a total prize pool of $7.3 million dollars. Of course, where there is big money on offer, horse racing bettors will follow in droves. Where can you make your money this year. With the final field of 24 not finalised until two days before the race on 4 November 2018, bookmakers have released some superb long-range odds for the big race. If you’re certain your horse is qualified and with line up on race day, NOW is the best time to secure the best available odds before the bookies tighten things up closer to race day. See our Best Bet Tip and Best Value Bet Tip in the table below. 2018 Melbourne Cup Betting – Fixed Odds or Tote Betting? In Fixed Odds betting, the odds displayed at the time you make your bet are locked in for your bet. Although the odds may alter in the future, if you place a bet at $10, you are guaranteed a $10 payout for every dollar you bet, even if the odds have shortened to $5 after you may have placed the bet. In Tote betting, the odds displayed at the time you make your bet are only an estimation of what your payout may be if you happen to win. This approximation usually improves as the race draws closer. As the Melbourne Cup is the biggest day of the year for making a bet, the odds can be wildly skewed. Therefore, we usually prefer the certainty of securing a win in Fixed Odds Betting with our best bookie on Melbourne Cup Day. Not only can we calculate our projected winnings exactly, but we can beat the queues at the bookmakers on the busiest day of the year by making our fixed odds bets online. Win Bet Pick the Winner! There is no greater thrill in racing or betting than picking the winner of the Cup! Place bet Pick a horse to finish in the top three. The odds are lower than for a win, but it increases your chance of a collecting some winning cash! Quinella Pick the first two horses past the post, in no particular order. A great bet type for big payouts. Exacta Experts bet to win big – pick the first two horses home in the correct order. Trifecta Pick the first three horses past the post. Great potential for a big payout due to the large field size (up to 24 horses). Straight Trifecta Pick the first three horses past the winning post in the correct order. Monster payouts due to an increased risk. Boxed Trifecta Pick the first three horses past the post, however, they may finish in any order. Costs a little more than a Straight Trifecta due to the increased potential winning combinations. First Four Have a go at the First Four! If you manage to win this bet type you will be in for an enormous windfall. Some Melbourne Cup First Fours have paid over $1 million in previous years! You can include a number of runners in your bet without breaking the bank. Qualifying for the Melbourne Cup is no small feat. With such a large prize money pool on offer, many champion trainers and thoroughbreds wish to compete in the Great Race. Between 300 to 400 horses nominate for the event each season, with the final field limited to just 24 horses. Initial nominations close in the last week of August each year. With so many horses initially entered for Australia’s most famous race each year, how does a horse ensure qualification for the Melbourne Cup? Although the process may appear confusing, having a basic understanding of the qualifying process can help determine whether your fancy has a realistic chance of making the cut. Without going into 5-page detailed study of the Racing Victoria’s rules, put simply, a horse’s chance of gaining a start in the final Melbourne Cup field is based on handicapping (weight allocation), ballot order and/or success in a number of ballot exempt races.